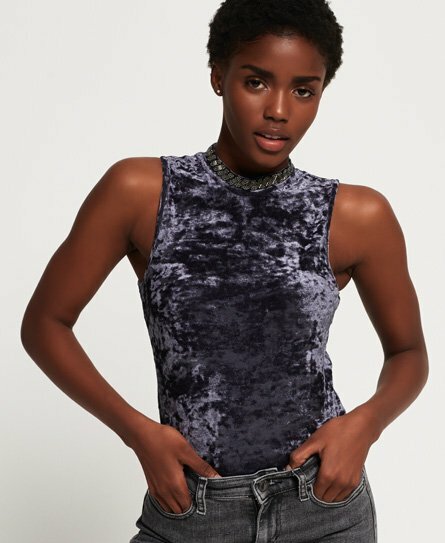 Superdry women’s Cassidy crush velvet bodysuit. Add some glamour to your wardrobe this season with the Cassidy crush velvet bodysuit, featuring a high neck and zip and popper fastening. Finished with beaded detailing around the neck, style this bodysuit with jeans and heeled boots for the perfect evening look.